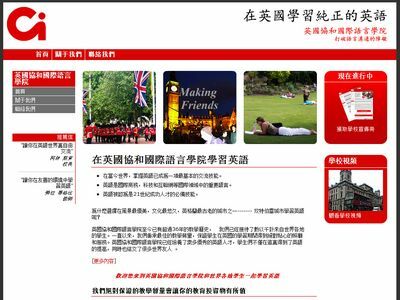 Cornish services have now designed several websites in Asian languages for the Concorde Language school, including the Chinese website below. These are the same webpages translated into two of the written Chinese languages, Simplified Chinese on the left and Traditional Chinese on the right. There are several different versions of Chinese. The official language of China is Mandarin and this is spoken by people in Beijing and much of mainland and northern China. But spoken Mandarin has two different written forms, known as simplified Chinese and traditional Chinese. The simplified Chinese is used by people in mainland China. Traditional Chinese is used by people in mainland China plus some of the islands such as Taiwan and Hong Kong. Further south, In Malaysia and Singapore the simplified Chinese is more common. There are also other forms of Chinese, for example Cantonese which is the language spoken in Hong Kong and areas of southern China. There are many other dialects and variations spoken throughout China. One important factor here is the server used for both development and to host the website. Some servers send default character sets to the browser, overwriting any character set defined within the webpage and this prevents the Chinese character sets from showing clearly. A Chinese domain name (.cn) is useful when marketing into China. There are two lower level domains (.copm.cn and .net.cn) which are reserved for Chinese companies and Chinese network providers. But other domains under the top level .cn domain are unrestricted. China is one of the countries in which Google is not the dominant search engine. And there are different search engines for the simplified and traditional versions of the language. Popular search engines for simplified Chinese include Sina, Baidu and Sohu, Accoona, Sogou, and Yisou. For the traditional Chinese language the most popular are local Hong Kong or Taiwan search engines. in Hong Kong these include MSN Hong Kong, Yahoo Hong Kong, Sina Hong Kong and Timway. Chinese SEO is interesting as there are so many search engines to consider, and many of these operate differently. When carrying out Chinese SEO or search marketing into China the first stage is to consider which market. The notes on Chinese search engines above indicate that there at least three major different and distinct search markets; mainland China, Hong Kong and Taiwan. And this does not include other locations such as Singapore. The different search engines have different popularities in all three regions, so methods of SEO vary slightly depending on region. 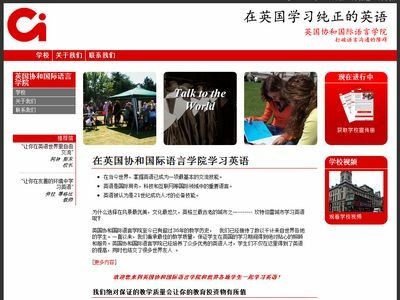 Looking for a company to translate and create your website in Chinese? Cornish WebServices can provide a full translation, design, hosting and search marketing service in Chinese and many other languages. We always use natural language speakers for the translation work to give the best results.